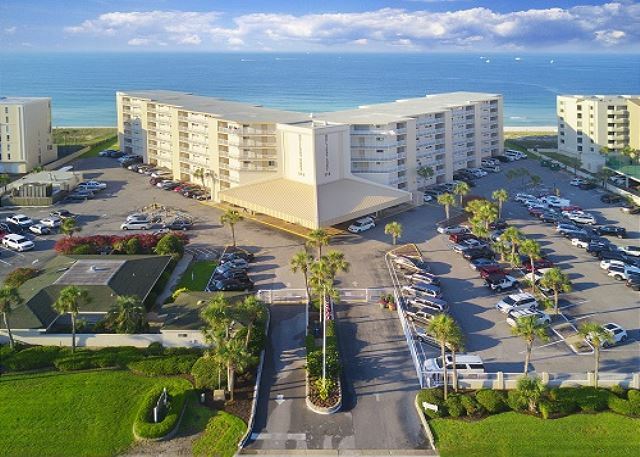 Enjoy a relaxing getaway in this comfortable, coastal 2 bedroom condo! 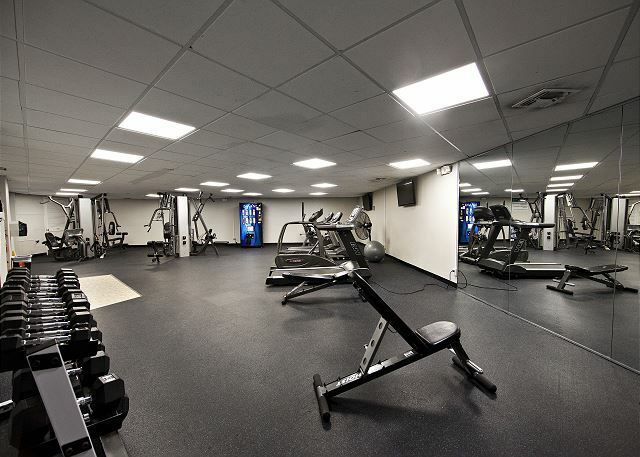 Unit 605 accommodates a maximum of 6 people with a king bed in the master bedroom, 2 twin beds in the guest bedroom, and a sofa sleeper in the living room.The living room and both bedrooms are equipped with flat screen TVs and a HD cable including the SEC Sports Channel. The updated kitchen has stainless steel appliances and granite counter tops. 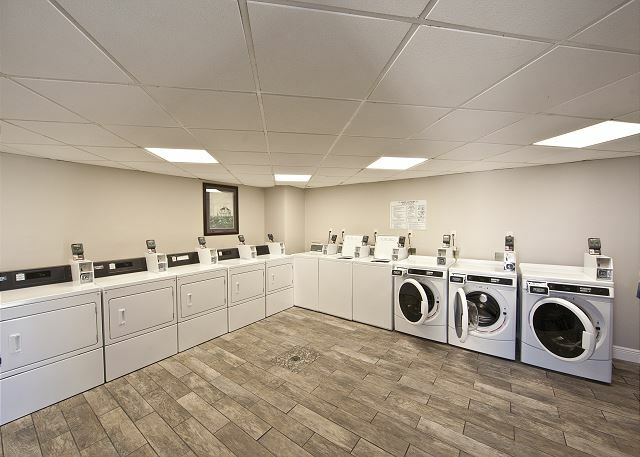 This unit is just steps away from laundry facilities on the 6th floor. The pool, sport courts and complimentary beach chairs (3/1 thru 10/31) are just steps away. Make your reservation today! Take advantage of Xplorie excursions to enhance your vacation. We found the property after our arrival, and arranged a last minute rental. 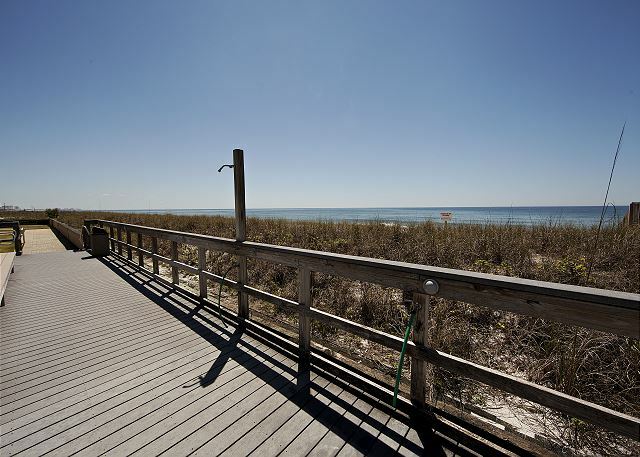 The property has high-end furnishings, and a location that offers a great view of the beach. It is well located, within minutes of our favorite restaurants and the marina. We plan a return the next time we visit Destin. 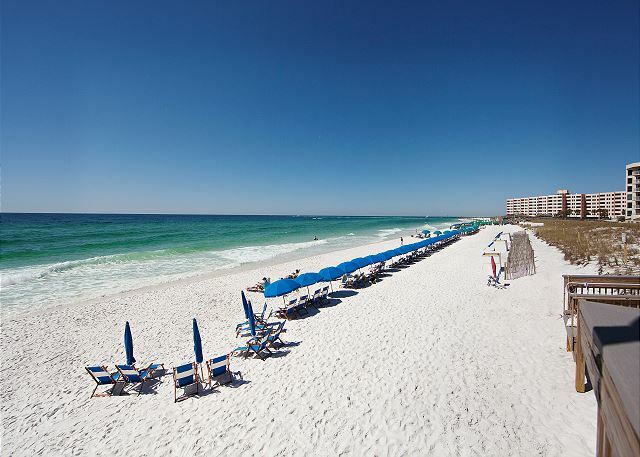 We are very happy to hear that you have a great stay in Destin and at Holiday Surf and Racquet Club. Please let us know when you can come back down! the condo was really nice, very accessible to the laundry area, plus the balcony view was spot on! we love the kitchen cz u basically have everything, we just simply love it. Had a wonderful time. Have stayed at the Holiday Surf since 1977 so have been through all changes, all kinds of weather, new management, etc. Still love it after 40 years. We enjoyed our stay and the beach service is nice but you should make sure you're done before six or the attendants will start putting all of your stuff in the sand. Two teen boys loved having separate beds! Bathrooms a bit small but they were fine. We had a wonderful experience with this condo,my only complaint is the sofa bed need to repair (under bed spring broken).Good location, right on the beach. Helpful staff. We enjoyed a fabulous weekend at the Holiday Surf and Racquet club. We had everything we needed and felt like we were at home. The high patio chairs on the balcony gave provided a direct view of the beautiful ocean. Staff were friendly and helpful.